1st item: French Mirecourt violin with label reading, "Georges Chanot a Paris, Quai Malaquais, Annee 1856". 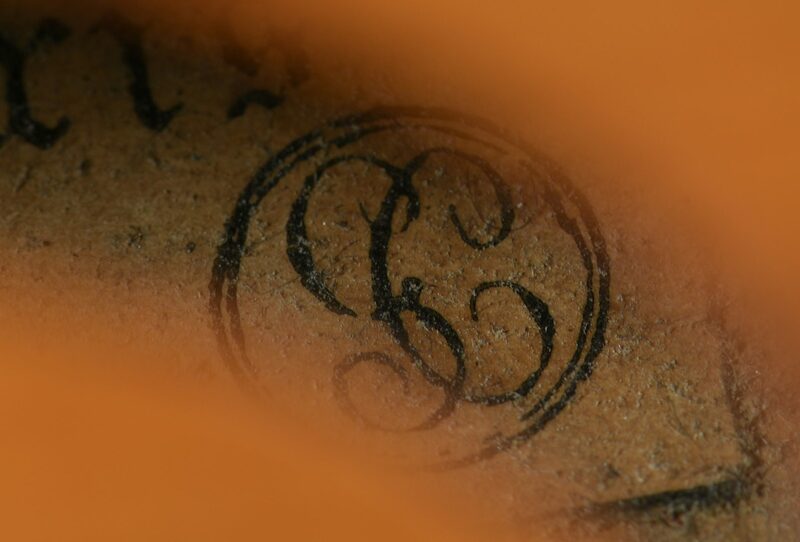 Label appears to be after George Chanot. Belly likely spruce. Back, neck, scroll and ribs maple. 24 1/4" L. 2nd item: Silver mounted octagonal bow with ebony frog and abalone and mother-of-pearl inserts stamped "Otto Schuller", 29 1/4" L. 3rd item: Silver mounted round bow with ebony frog and abalone and mother-of-pearl inserts, unmarked. 29 3/4" L. With leather case with zippered canvas cover – 31 1/4" L x 10" D x 4 1/2" H. CONDITION: Violin missing bridge and with damaged strings. Both bows with damaged horsehair and missing one mother-of-pearl eye.